Video conversion is very common nowadays and there are lots of free desktop-based Video Converters available. But what if you don’t want a video converter program installed on your computer? You’ve come to the right place. In this article we’ve go through the 5 best Free Online Video Converter that allows you to convert videos within the browser without downloading and installing any app. Online Video Converter is a well-known online video converter to MP4/MP3. This video converter online supports direct converting video or audio, which means you can drag your video manually into the site to get the format changed. Then it will provide you a download link to save the destination file to your device. Apart from it, Online Video Converter also can cope with a YouTube video link. 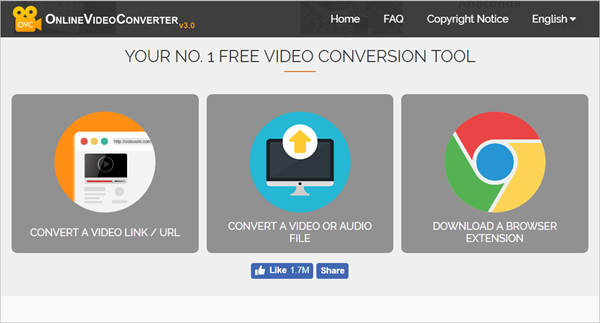 Online-Convert is another free online video converter allows users to convert videos to any format. In addition to converting videos online, this online converter also serves as an all-in-one media converter packed with audio converter, image converter, document converter, e-book converter & archive converter. Integrated with so many powerful features, users can feel free to process all their conversion task in this site. Aconvert is a good competitor to other free online video converter that I have added in this list. This particular site is built to convert your video files to file formats compatible with any portable electronic devices. It will help you to convert HD videos to MP4, AVI, MKV, WMV, ASF, MOV, M4V, RM, VOB or GIF. Besides, it acts as great online video converter to MP3, WAV, WMA, OGG, AAC, FLAC, and M4A etc. Files-Conversion provides users a free way to convert videos in strange formats to all major formats without installing any software. You can use it on Windows, Mac or Linux operation system. Moreover, the process of converting videos is very straightforward. 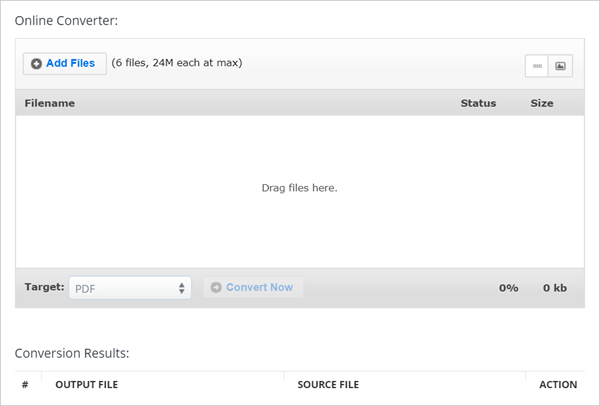 You just click the “Select a File” button to import your video file, then choose the target format & size, finally hit “Convert” to launch conversion process. 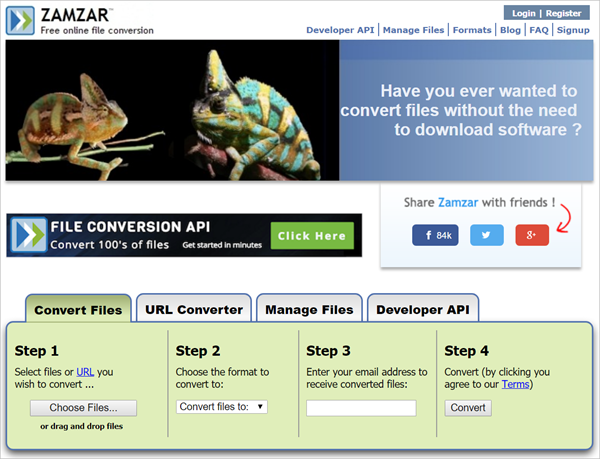 When it comes to convert video formats online, Zamzar is recommended. This web-based application allows users to upload a video file and get the video changed smoothly. This site is accessible to all users thanks for its simple interface and intuitive operations. Please note this converter online has no download button after conversion, you can only receive the converted file via email. Online video converter is very convenient for occasional use. But there are some limitations like small video size and slow conversion speed. What’s more, they may output video file of low quality and there is a higher risk in exposing your private video content. Therefore a desktop-based video converter is a better choice. Here we’d like to recommend an free online video converter alternative – Gihosoft Free Video Converter. If you have a large batch of files to convert and want to edit your video before converting, just download it and have a try.